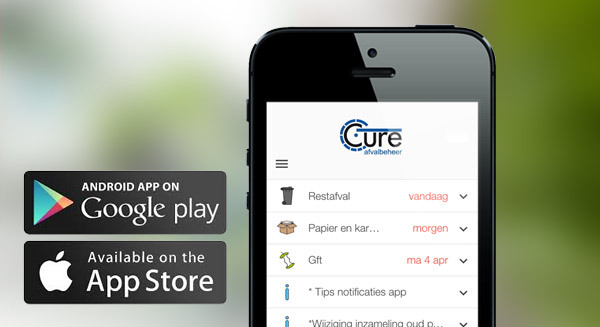 Cure is a partnership of the municipalities of Eindhoven, Valkenswaard and Geldrop-Mierlo. Cure provides waste collection in these municipalities. Consult your waste collection schedule to see when your waste will be collected. Opening hours and information about the waste recycling points in your municipality. Always have your personal waste schedule at hand! Including useful notification service. We’d love to hear how we can help! Please contact our customer service. Your personal waste schedule at hand!